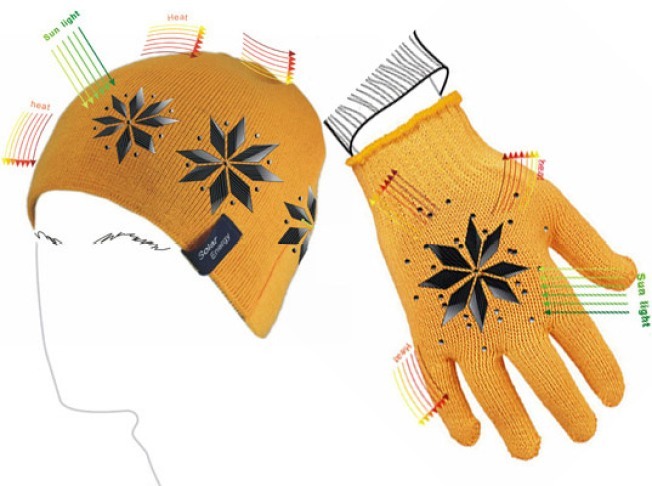 Here's a product we can really warm up to: a knit hat and matching gloves with built-in solar panels. No, not your typical bulky (and dare we say, ugly) solar panels, but cheerful little snow-flake shaped panels that convert sunlight into snuggly warm goodness. Dubbed "Endless Warm," the cozy conceptual duo from Germany's Yiran Qian were finalists in the DesignBoom Greenlife contest. The only problem we see is that typical cold winter days don't boast significant amounts of sunshine. Hopefully, there's an equally cute battery hidden in the hat and gloves.